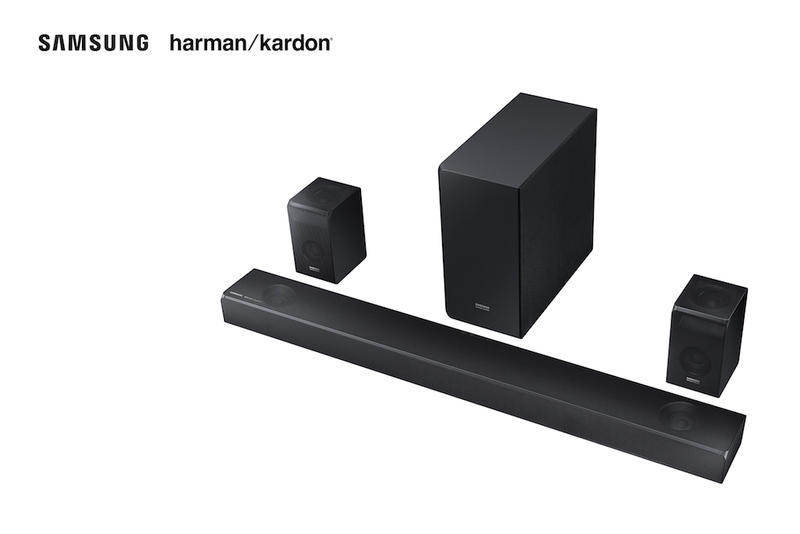 Harman Kardon, now owned by Samsung, has introduced a new premium soundbar lineup with its parent company. The Samsung HW-N950 and HW-N850 premium soundbars have been developed in collaboration with Harman and they feature Dolby Atmos and DTS:X to provide an immersive audio experience. These co-branded premium soundbars will be available later this month. They feature both Samsung and Harman Kardon logos to represent the new partnership between the two brands. Samsung for long been making soundbars but it’s now able to leverage the expertise of Harman Kardon to further improve the product. Harman Kardon is a well-regarded name in the premium audio segment. This isn’t the first time that the two companies have collaborated on products since Harman’s acquisition by Samsung in March last year. Some flagship Samsung smartphones and tablets feature AKG-tuned audio and ship with AKG headphones. The AKG audio brand is owned by Harman Kardon. 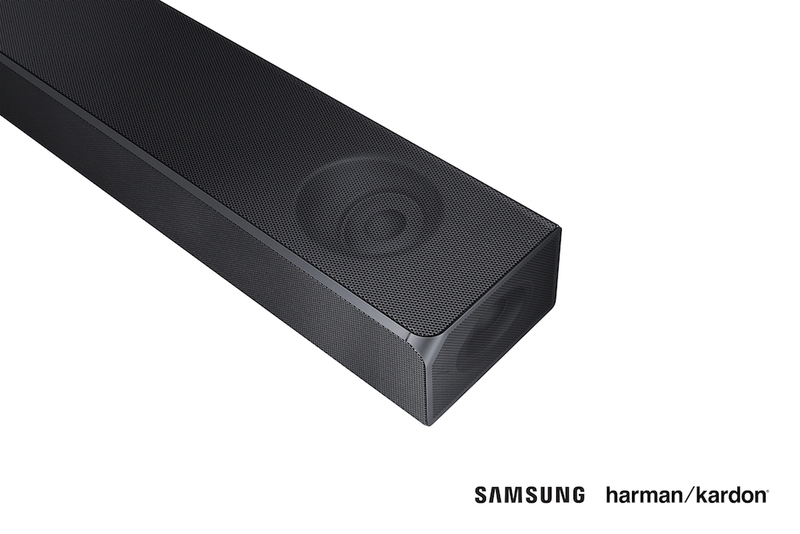 This premium soundbar lineup is the first major collaboration between Samsung and Harman Kardon for the premium audio category. It features Dolby Atmos and DTS’ proprietary DTS:X technology to deliver immersive and three-dimensional sound. In addition to these technologies, the HW-N950 and HW-N850 soundbars feature up and side-firing speakers which naturally move sound around and above listeners. The HW-N950 has a main unit, four speakers and two wireless surround sound speakers with 7.1.4 channels, the largest number of channels currently available in a soundbar. The HW-N850 is a simplified version of the HW-N950 with a main unit speaker, woofer and a 5.1.2 channel. The HW-N950 is priced at 1499 euro whereas the HW-N850 will cost 999 euro. They will be available starting September 1 in the Netherlands. Pricing for other markets will be confirmed by Samsung’s regional divisions.